Some cryptocurrencies don’t really require much introduction. That is because they are the pioneers and also doing some things that no other crypto is. And without a doubt, Monero cryptocurrency is one of those and is also one of my favorite anonymous currencies out there. 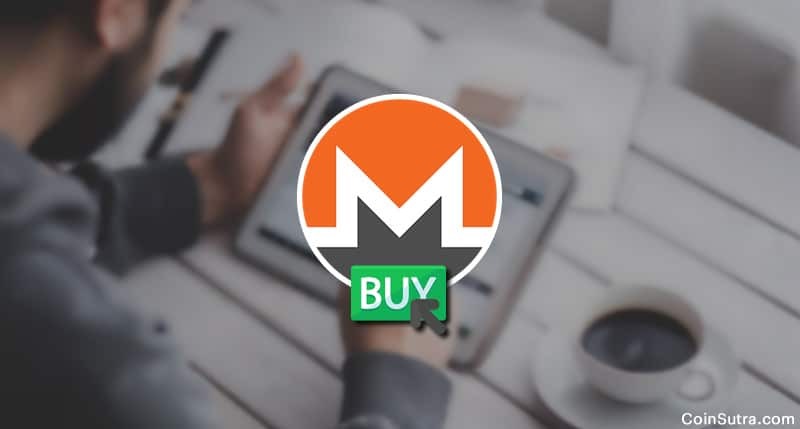 Monero (XMR) is an open-source cryptocurrency created in April 2014 that focuses on privacy and decentralization that doesn’t take Bitcoin core’s code to start with their cryptocurrency. Monero should be a part of your portfolio because if and when governments around the world launch a crackdown on cryptocurrencies, Monero-like anonymous coins will have great use cases to offer. And precisely because of all these reasons, many investors want to buy it. Therefore, in this post, I will tell you different ways by which you can buy Monero. If you are buying cryptocurrencies for the first time, Changelly is the best and the easiest option for you to buy your Monero coins. Head to CoinSutra’s Cryptocurrency Exchange – Changelly and follow the steps given in this guide. 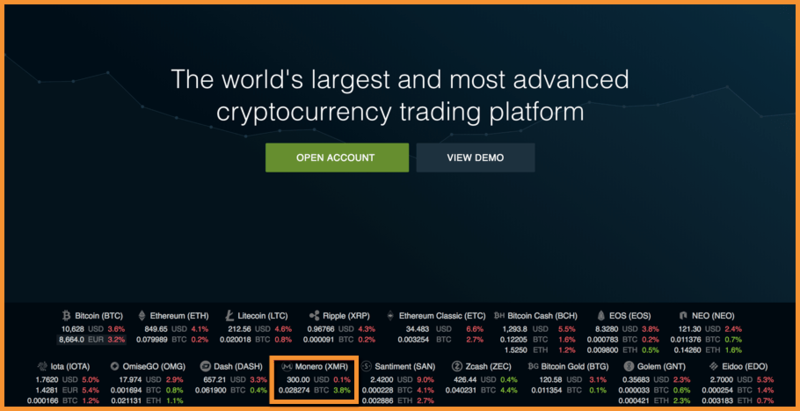 Note: Though the guide shows how to buy Ripple in exchange for BTC, the process is exactly the same to buy Monero (XMR). 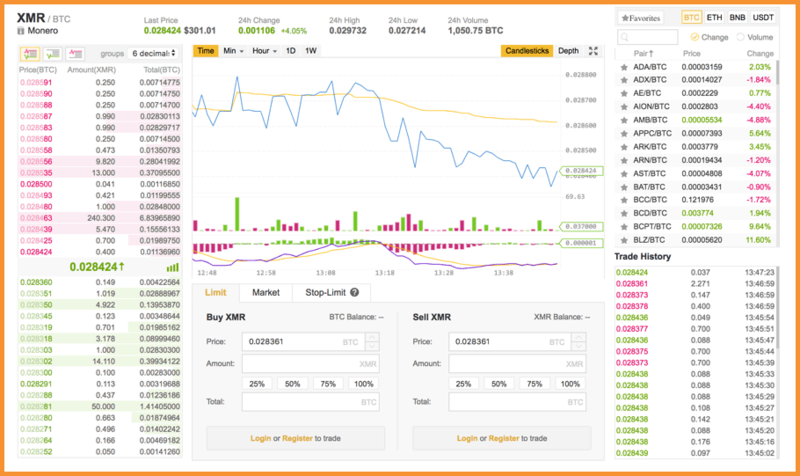 Binance, one of the busiest cryptocurrency exchanges out there today, has supported the buying/selling of Monero (XMR) ever since its launch in 2017. They also have user-friendly and robust mobile apps to help people trade cryptocurrencies on the go. (Android App | iOS App) Here is a short video explaining how to trade on Binance mobile apps. The process is same when you trade on Binance’s web version. Note: You can also claim 50% discount on your trading fee by holding native BNB tokens of Binance exchange. 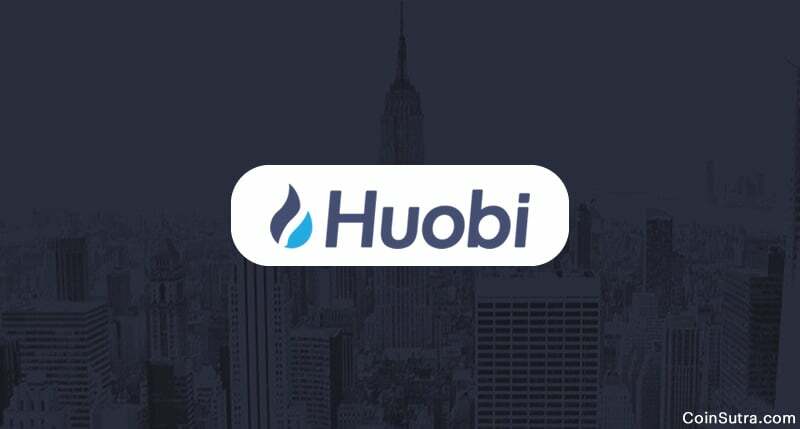 Huobi Pro is a leading global digital asset exchange serving global traders since 2013. The volume at the time of writing on this exchange is 91000 BTC which I think is very good with 34 cryptocurrencies/crypto assets listed on it. Bitfinex is one of the largest and the most popular cryptocurrency exchange that offers many popular coins for buying/selling. It is based out of Hong Kong and has been operational since 2014. 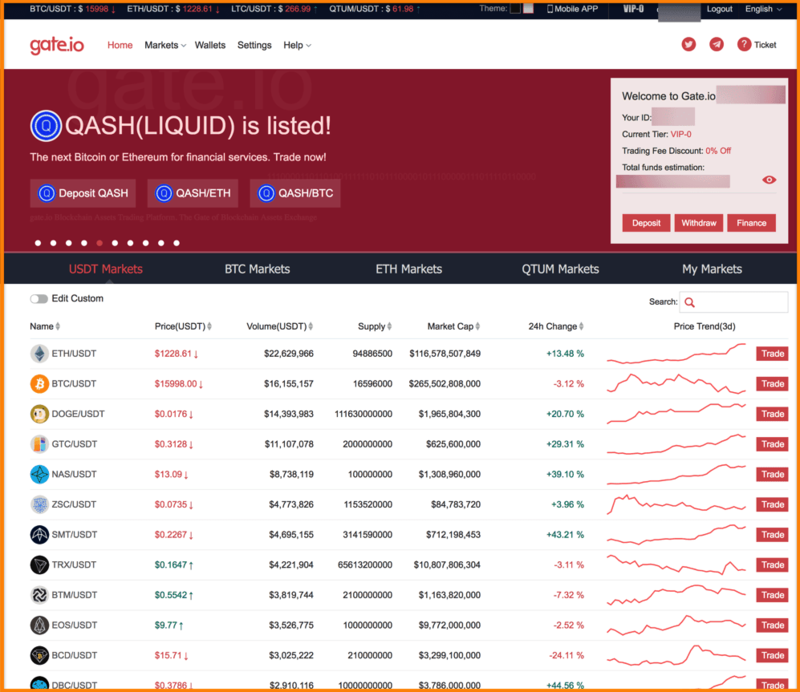 It gives its users the option to trade more than 30 cryptocurrencies/pairs in exchange of USD, EUR, ETH or BTC. That’s why, unlike other exchanges, it is not limited to be a crypto-to-crypto exchange. And whenever you get bored with the web version or want to trade on-the-go, you can use Bitfinex’s Android and iOS mobile apps. They are quite handy and user-friendly. Gate.io started getting a lot of traction starting the last quarter of 2017. That is because users began to realize how great platform it was to trade dominant cryptocurrencies like Monero. I have been using the exchange for last 2 months and have no complaints. It has enormous volume and a neat UI for the beginners too. Note: They are running a promo where they are offering an exclusive 10% discount on trading fees. MoneroForCash, as is evident from its name, is a service that helps you buy Monero in exchange for your fiat currencies (cash). 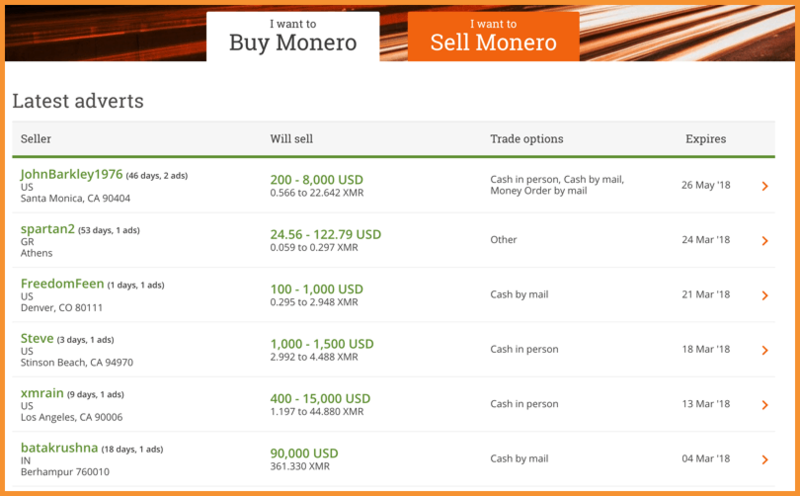 Using this service, you can buy and sell Monero (XMR) person-to-person with cash, by mail, money order and more. But beware! It is not like the escrow exchange service of LocalBitcoins. 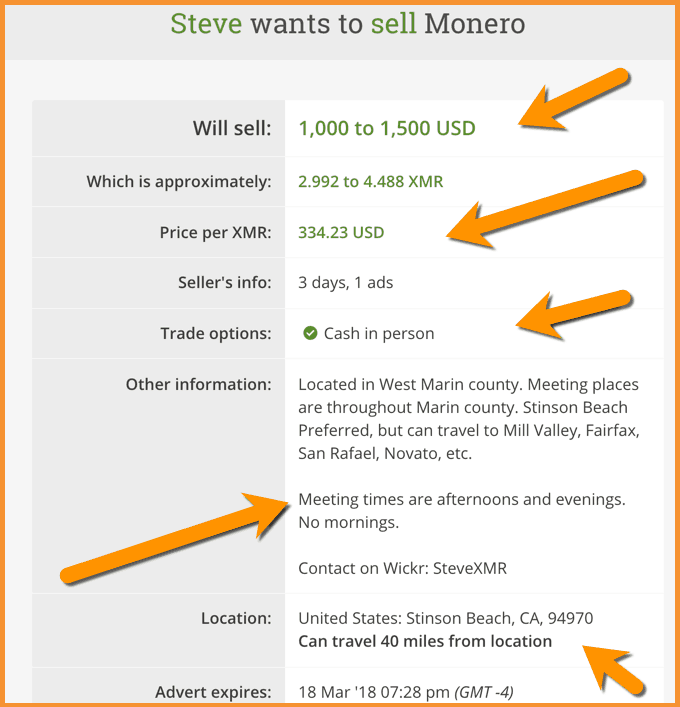 Buyers/sellers can advertise on MoneroForCash website and find each other through it to crack a deal in person. You will not find any native Monero wallet here so there is absolutely no chance of losing your funds until you make a horrendous error. You can find the seller’s ads like this (shown below) on this website, with whom you can meet in person according to the conditions to crack a deal. Monero cryptocurrency is rather famous, especially in the dark markets but it has other use cases of privacy, security, and fungibility also. And that is why, in last 3-4 years, it has developed a significant market share and is also being traded on many exchanges. It is okay if you intend to store the cryptocurrencies on these exchanges for a few hours or even a few days for the sake of trading. Storing your cryptos on them for any longer can put you in losses. Therefore, you should get a secure wallet for your Monero cryptocurrency too. You can find the details here – Monero Wallet: How to Create & Use Monero Wallet Address Online; and here. Time for you to share: Do you own any Monero yet? If not, where do you intend to buy your first XMR coin from? Do you see it becoming one of the next big altcoins? Share your views in the comments section below! That was quite an informative article considering Monero is still underrated in comparison of other altcoins such as Dash, Lightcoin, and Ripple. But in the real world, I would Monero is the real cryptocurrency even better than Bitcoin as far as secrecy factor is concerned. Thanks, Sudhir for this useful article. I think these type of article helps Crypto buyers a lot. But I have a question about. What is the future of Monero Coins? I have also written a similar article on Monero exchanges but didn’t give any information on future of Monro as I was in suspect too. Perfect article! I am just buying Monero and this helped me a lot. Thanks. You mention MoneroForCash, but how come you don’t mention LocalMonero? They’ve been operating for almost a year now and have been endorsed by Monero core dev team members and are trusted by the community. Thanks for the great article! This helped me a lot. I found linkkoin.com website and I bought Monero thanks to you!